“Mum, they just rush you. They rush you all day, and they are just trying to fit more work in”, declared my six year old. This conversation startled me — more so when I shared it with groups of teachers, and they agreed and expressed a similar feeling of ‘rush’, but lacked a sense of priority to explore and challenge the status quo. So, how do we step out of the rush? Do you feel ignited or burnt out as a teacher? Is the energy your students bring to the classroom being doused by a sense of rush to cover all of the curriculum areas and the piling of facts, figures, and assessment tasks? How do learners — teachers, students, and their whānau — work collaboratively to consciously choose what logs to place on the fire of innovation and improvement? What must be removed to allow space for change and equity? How do we pay special attention to the spaces that invite reflection and warmth for all learners? Complex questions, like the ones above, unfortunately don’t have simple solutions. And complexity is ‘best buddies’ with speed and uncertainty. When you have little time and even less clarity, as schools and learning communities do in designing learning for the 21st century, even the greatest teachers and leaders may become overwhelmed or feel unprepared to do or be enough for their learning communities. We cannot match complexity with greater complexity and speed. Tweaking existing systems, adding more initiatives for improvement, working longer hours and faster within our schools will not ignite innovation. 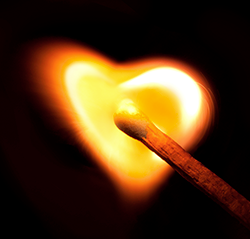 Judy Brown’s poem reminds us that just as fire is smothered by too many logs packed too tightly, so too is the energy and inspiration of whole hearted, talented human-shaped professionals within the education system. We need space to innovate and support for all learners to find their own ways toward improving teaching and learning. Collaborative teaching and leadership inquiries offer us a structure or pathway for innovation and improvement. The Spiral of Inquiry, one of the many frameworks for change, invites us to slow down, find space to make connections and explore the current learning situation from student and whānau perspectives, checking the impact of changes we make. Collaborative inquiry may be viewed as teams of teachers or leaders working together on a common cause to improve teaching and learning. Collaborative inquiry, I believe, encourages us to use a wider lens through which to view what Jennifer Garvey Berger, author of Simple Habits for Complex Times calls, ‘the rich picture of now’. I believe the view of collaborative inquiry needs to be widened to include students and their whānau in this collaboration, not just the professionals. Collaborative inquiry can be seen as a partnership formed around a passion, a curiosity about how to improve both teaching and learning for particular students. The spiral of inquiry by Kaser and Halbert encourages equity and innovation but more importantly, partnerships in learning. When we slow down, particularly in the initial scanning and focusing phases of inquiry, we place students at the centre of the learning. We refocus our attention. We spend less time talking about students and more time talking with students and the people who champion their learning both inside and outside of school. Sounds good in theory? How about in practice? One way the Hereora Cluster leadership teams determined not to reinforce the status quo was to review the use of assessment tools from other people's perspectives. This common cause collaboration or mahi ngātahi supported teachers to declutter and placed students at the centre of maths assessment practices. One of the quirks of complexity is that the fuel for a better future is not in the imagining of a better future. The spark lies in our everyday world — in the now. Numerous change frameworks such as design thinking, appreciative inquiry and spirals of inquiry implore us to empathise, discover and scan the current situation from a user or learner perspective rather than pick topics for inquiry. Building a ‘rich picture of the now’ as described by Jennifer Garvey Berger, through conversations from varied perspectives, is the most critical part of inquiry and the place where partnerships in learning are ignited. Being curious, making innovation and improvement a priority, being totally grounded in ‘the rich picture of now’, plus the research around the science of learning allows us to come up with safe-to-fail experimentation and education reform together — that’s collaborative inquiry. It supports us to step out of the rush and stand firmly in the future, now. We can’t build better schools for learners and their whānau, but we can build it with them. To do this we must collaborate and slow down to move faster, further, and with greater purpose. Not to mention keeping the fire burning! Poem: Breathing Space by Judy Brown, published in her book, The Art and Spirit of Leadership . Used by permission. Suzi Gould is a Future Focused Inquiries Facilitator for CORE Education. Her work ranges across the sector from ECE services, primary schools, intermediates, and secondary schools, and clusters. Her work has included REAP, TUANZ, and the University of Waikato. She uses the Teaching as Inquiry process. She uses a number of change frameworks including design thinking, appreciative, and spirals of inquiry.